New Jersey: Hickok-bockus, 1994. Hardcover. Fine in Fine dust jacket. 28.5 x 21.5 cm. Quarto. 446 pages. 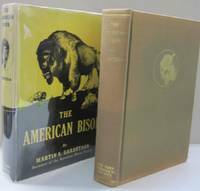 Reproductions of 356 prints, and 7 lithographs with dimensions, medium, year of production, size, and production record for each print.Green cloth in mylar protected dust jacket. 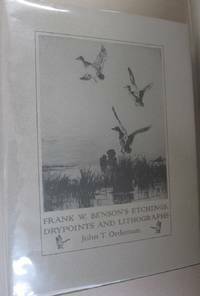 Limited to 1000 copies SIGNED by the author, John T. Ordeman, this being copy number 319. . An augmented reprint of the 5 volumes of "Etchings and Drypoints by Frank W. Benson" compiled and arranged by Adam E. M. Paff and Arthur W. Heintzelman. New American Library, 1966. First printing. hardcover. very good/very good. 333pp. With drawings by the author. Very nice copy in dust jacket. Some edge rubbing at top of spine. In a brodart protective wrapper. Old Hemlock, 1997. Limited edition. Hardcover. fine./ fine. octavo. Burgandy boards with gilt lettering to cover and spine. 137pp. Limited to 1500 copies. This is copy #1140. 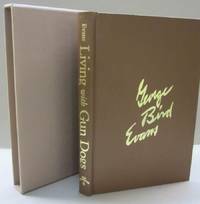 SIGNED and dated by George Bird Evans on half-title page. In slipcase. New Jersey: Amwell Press, 1982. Limited Edition. Hardcover. very good. 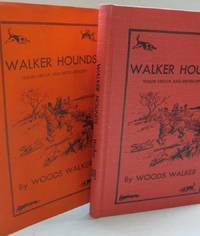 Bound in red boards with gilt design to front cover and gilt lettering to spine. 396pp. Moire endpapers. AEG. 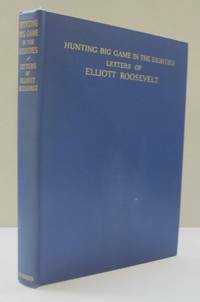 This is the third volume in the Big Game Heritage Series. Limited to 1000 copies of which this is #648. Signed by Anna M. Jobson,(author's wife) Streven Schroeder, editor and Jim Rikhoff, President of N.S.F.L. There is some edge wear at bottom. Corner's slightly rubbed. Faint rubbing to gilt at spine. John Jobson was a Western outdoor sports writer and an authority on big game hunting in North America and Africa. London: Rowland Ward & Co., 1896. First edition. Hardcover. very good. Tan cloth. Gilt lettering to spine. (with some soiling to boards.) 320pp and index. Slight tear at head of spine. 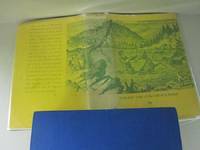 Scarce 27 page booklet of the illustrated guide of The Third Jungle by Night and Day. 1896 "Empire of India and Ceylon Exhibition including other crown dependencies in Asia." by Rowland Ward. glued to half title page. 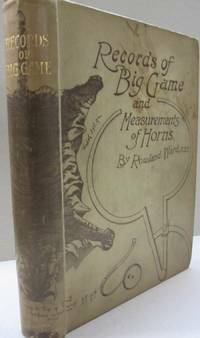 From the personal library of Thaddeus Surber, Head of mn dept of fish and game, with his stamp on title page. New York: The Macmillan Company, 1904. First edition. Hardcover. Very Good. 20.5 x 14.5 cm. Octavo. 440 pages. Green cloth gilt lettering and design. Some rubbing to the edges of the spine. 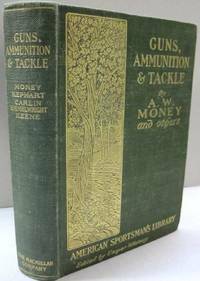 Part of the American Sportsman's Library series edited by Caspar Whitney. Many plates including 3 in color. Previous owner (Thaddeus Surber)'s address label inside front cover. Surber was a zoologist and head of the Minnesota Department of Fish and Game. New York: Frederick A. Stokes Company, 1921. First edition. Hardcover. Fair. 21 x 14 cm. Octavo. 344 pages. Green cloth with picture of deer on cover. With 8 illustrations. Water damage to most of the pages causing waving. Text readable. Stamp and pen written name of previous owner, Thaddeus Surber. Surber was a zoologist and head of the Minnesota Department of Fish and Game. New York and London: G. P. Putnam's Sons, 1906. First edition. Hardcover. Very Good. 19 x 12.5 Small octavo. 98 pages. With 19 pages of ads in rear (including inside rear cover), and 3 pages of ads in front (including inside front cover). Green cloth with black lettering and design. Rubbing to the spine. Previous owner's stamp appears on title page and inside front cover. The previous owner, Thaddeus Surber, was a zoologist and head of the Minnesota Department of Fish and Game. 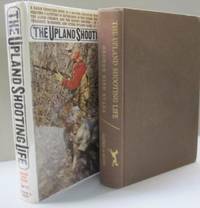 An uncommon title by a prominent hunter and an Olympic medalist in shooting. Cynthiana, Kentucky: The Hobson Book Press, 1945. First edition. Hardcover. Very Good in Very Good dust jacket. 23.5 x 15.5 cm. Octavo. 101 pages. 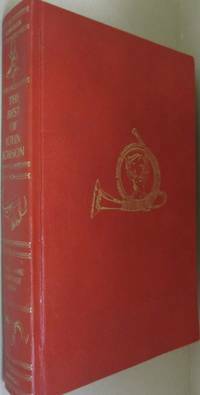 Red cloth in dust jacket. Previous owner's gift inscription on title page. Two stamps "John Wade Walker" and address on front and rear endpaper. Some rubbing and a small closed tear to the dust jacket. Nice copy of this uncommon title. New York: John W. Lovell Company, 1800. Hardcover. Good. 19.5 x 13.5 cm. Octavo. 305 pages. Blue cloth with embossed design and gold title label. 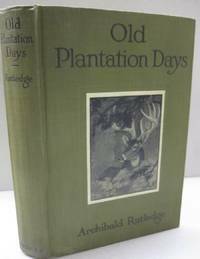 Originally published in 1854 by Longman, Brown, Green, and Longmans this is an undated reprint circa 1880's or 1890's. Previous owner's book plate inside front cover. 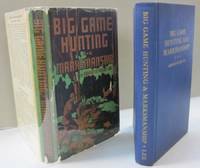 The previous owner, Thaddeus Surber, was a zoologist and head of the Minnesota Department of Fish and Game. Rubbing to edges of spine. Some scratches to the back cover. Winona, Minnesota: self, 1932. Pamphlet. Good+. 23.5 x 16 Octavo. 35 pages. Staplebound. 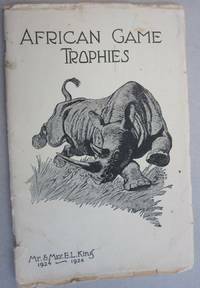 Photographs and text of animals hunted by the King's during their trip to Kenya Colony in British East Africa in 1924-25 and in Tanganyika territory in 1926-27. Covers are worn but intact. Transparent spider web front and rear endpapers. Knopf, 1971. First edition. Hardcover. very good/very good. 301pp & index. Illustrated with line drawings by George Evans and photographs by Jack Gates and Kay and George Evans. Some light dis-coloration on fore-edges. A nice copy in a lightly chipped dust jacket. In a brodart protective wrapper. Trophy Room Books, 1997. Limited Edition. Hardcover. fine/fine. 230pp. This is copy #721/1000 copies and is signed by Philip Percival. 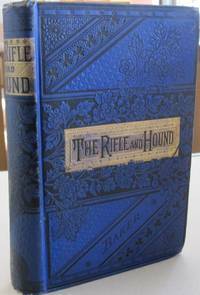 A fine copy in an equally nice dust jacket. Trophy Room Books, 1994. Limited Edition. Hardcover. fine/fine. 326pp. This is copy #994 of 1000 copies and is signed by author on limitation page as well as inscribed by author on front free endpaper. 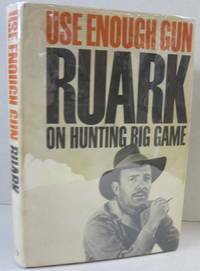 A fine copy in an equally nice dust jacket. In a brodart protective wrapper. Old Hemlock, 1992. Limited edition. Leather Bound. Fine in Near Fine slipcase. Octavo. 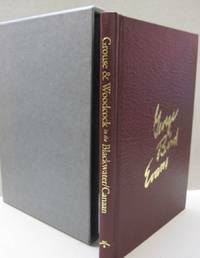 (9" x 6") 217pp Brown boards with gilt lettering to cover and spine in slipcase. Limited to 1500 copies of which this is #1111. SIGNED presentation copy from George Bird Evans and dated 1992. There is some fading to the slipcase'. New York: Charles Scribner's Sons, 1933. First edition. Hardcover. very good. Blue cloth with gilt lettering to cover and spine . 182pp. London: J. M. Dent & Co., 1900. Hard Cover. good. octavo. Olive green cloth with gilt design to front cover. 287pp. Endpapers by Arthur Rackham and black and white vignettes as chapter headings. Rubbing at head and tail of spine. 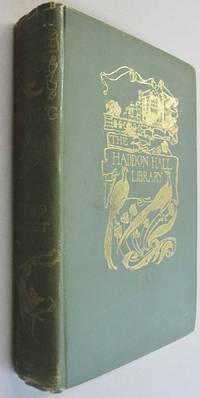 The Haddon Hall Library. New York: Zoological Society, 1938. good/good. octavo. (9" x 6) 254p. 65 illustrations. Name and bookplate of previous owner on front endpapers. Some occasional "toning" to pages. Some fading to back dust jacket and book at bottom edges. Back corner bumped. Jacket is in a protective wrapper. 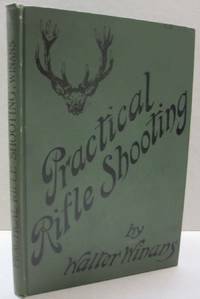 "The Story of It's Extermination as a wild species and its restoration under Federal Protection"
Small-Arms Technical Publishing Co., 1941. First edition. Hard Cover. very good/very good. 217pp. A nice copy in a lightly chipped dust jacket. In a protecttive wrapper. North Carolina: Winston Printing co., 1942. Revised. Hard Cover. very good/very good. octavo. 400pp Nice copy in dust jacket. Jacket has some chipping at edges and fading to spine. In a brodart protective wrapper.